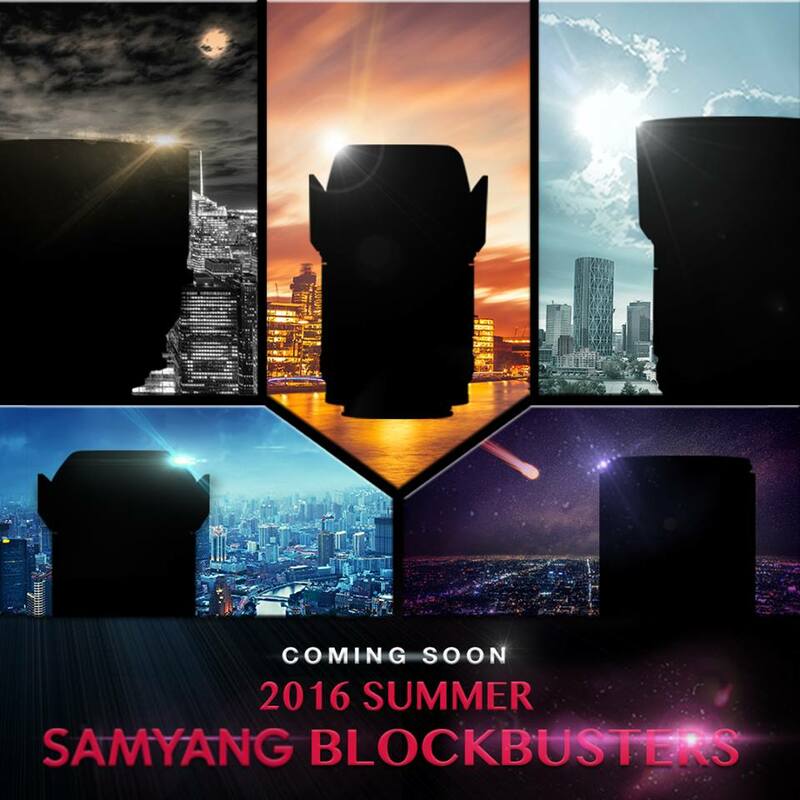 Korean lens manufacturer Samyang has announced that it intends to enjoy a summer of new lenses in what it is calling a ‘Samyang Blockbuster’, starting on Monday 18th July and running until 15th August. The ‘5 NEW Samyang Lenses will be released on every Monday for the next five weeks’ promotion was placed on the company Facebook page with no clues about what those lenses will be. There is some ambiguity, too, around whether Samyang intends to release five lenses a week for five weeks – making 25 in total – or (probably more likely given the accompanying graphic, above) one lens per week, for five weeks. Samyang makes lenses for still and movie photographers, with a relatively new ‘Xeen’ range of dedicated large-scale cine lenses. Autofocus is also quite new for Samyang lenses, with only one lens (AF 50/1.4 FE) available and one more in the pipeline (AF 14/2.8 FE) – both of which are designed for the Sony fully frame FE mount. For more information see the Samyang website, and the promotion on the company’s Facebook page.